I am 59 years old and I have been working with Computers since 1998 , I have been self taught and started designing Web Sites in 1998 , My first project was to construct a Site relating to the Peterborough Railway Station and the lack of interest being shown by those who use it and consiquently resulting in its deralict state. Click Here for a Photo of The Station . I am now a working on Web Sites for SteamTown and The Black Rock Dirtcircuit Car Club.. Click here to see a photo of me in Uniform, or here for a photo of where I work. 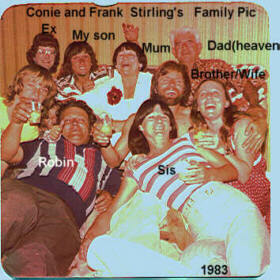 I am one of two children to Frank and Conie Stirling. My sisters is Wendy, and my Brothers name is Kieth , who is a School Teacher at Busselton W.A ,click here for a family photo. My hobbies are Railway Photography , Steam Train Preservation and antique Computers. Click here to see a photo of me in my "work guise". I have spent many hours at the Peterborough Station and SteamTown taking photos for the News Groups and my web site , spending about 2 hours a day as a Tour Guide , the rest of my day is shared between my Station Duties and working on my Web Pages. 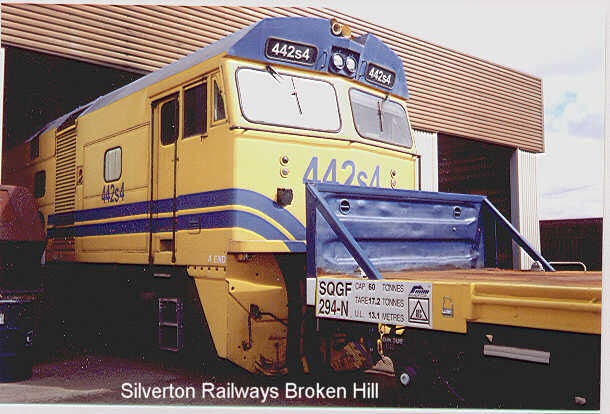 I am a member of the Peterborough Railway Preservation Society , and perform Car Captain and other duties on many train tours run by the society to Black Rock and Eurelia.